Wireless technology firm LightSquared isn’t a household name, but it is getting a lot of buzz in Congress. It's a hot company that wants to set up its own LTE-based 4G network, at a cost of $14 billion, to address the burgeoning demands for air space caused by the growing popularity of smartphones. The rub? The firm’s network, which requires a combination of satellites and towers to work, raises havoc with the existing GPS network. That concern was raised at a hearing last week before the U.S. House Science, Space and Technology committee. While recognizing the need for more spectrum to accommodate the data demands of the growing number of smartphones and other devices sucking up wireless bandwidth, the integrity of the GPS system must be preserved, argued the committee's chairman, Ralph Hall (R-Texas). A handful of witnesses, most from federal agencies, appeared before the panel to slap down LightSquared. The nation's entire fleet of weather satellites would be jeopardized by the networking scheme currently proposed by LightSquared, asserted Mary Glackin, deputy under secretary of the National Oceanic and Atmospheric Administration. Interference from the LightSquared network could create some real headaches for emergency responders, too, according to the U.S. Geological Survey. 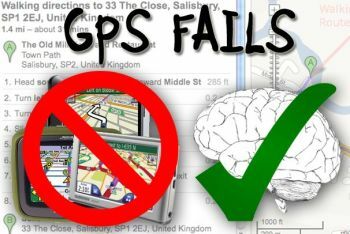 The agency's associate director for natural hazards, David Applegate, explained to the committee that fire crews use GPS for navigation, and that any degradation of the GPS signal “could make it more difficult for personnel to navigate." Worse yet, he added, it could force them to "to revert to pencil-and-map." Although LightSquared has revised its initial networking scheme, the revised scheme still uses a part of the wireless spectrum adjacent to the GPS spectrum. Still, further testing should be done to determine how the revised scheme affects GPS, argued Anthony Russo, director of the National Coordination Office for Space-Based Positioning, Navigation and Timing, which oversees U.S. agencies’ interests in GPS services. NASA also weighed in against LightSquared at the hearing. The impact on the space agency's GPS-dependent systems "would be substantial," asserted Victor Sparrow, who directs spectrum policy and space communications at NASA. Even some in the scientific community found fault with the network. Still, LightSquared is pushing on. It recently announced it had reached a multiyear wholesale agreement with Advanta Technologies, a Texas-based provider of voice, video and data solutions for enterprise customers. The firm is looking to Advanta to expand the company’s product portfolio to include innovative wireless broadband devices, applications and services that will run on LightSquared’s nationwide 4G-LTE network. LightSquared says on its website that its mission is to revolutionize the U.S. wireless industry. Washington could have a lot to do with whether the company succeeds in its goal. The FCC is currently reviewing LightSquared's network proposal, but has vowed not to allow the company's network to interfere with the GPS network. In fact, that review can't move forward until the interference issues are put to rest. In June, the U.S. House Appropriations Committee adopted a budget amendment saying as much.